The MARTA Board of Directors will vote Oct. 4 on $2.7 billion in allotments under the More MARTA program, including the Clifton Corridor Transit Initiative, a proposed four-mile light rail line that would provide commuting options, decrease traffic congestion and improve sustainability in the Emory area. Photo courtesy of MARTA. 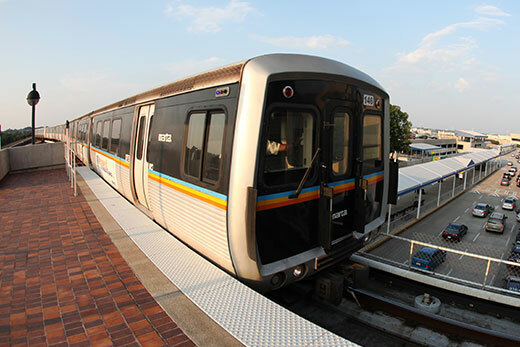 The MARTA Board of Directors released its recommendations for transit project investments, which includes $350 million slated for the Clifton Corridor line, in a letter delivered Sept. 27 to Atlanta Mayor Keisha Lance Bottoms. The recommendations, involving $2.7 billion in allotments under the More MARTA program, will be voted on by the full MARTA board Oct. 4. “If approved, MARTA and the City of Atlanta will be making an historic commitment to public transportation and to the future of our community. For decades, people across Atlanta, including those at Emory University, Emory Healthcare, businesses, nonprofits and government agencies along the Clifton Corridor, have supported smart, sustainable and efficient proposals to provide reliable access to essential medical services and jobs. “More than a destination for funding, the Clifton Corridor project is a point of departure that will connect people throughout the Atlanta area. The vote by MARTA will mark an important next step in a process that will require stakeholders, including Emory University and Emory Healthcare, to work together to secure funding and make the dream of advancing integrated transit in Atlanta a reality,” says Sterk. “Federal matching funds will be critical to the next phase of this effort, and current workforce and population centers are key factors in that evaluation process. We will continue to champion better connections through transit for the 40,000 people who work at Emory University, the Centers for Disease Control and Prevention and other organizations here, our 15,000 students, and the over 2 million patient visits to Emory University Hospital and the Atlanta Veterans Affairs Medical Center each year,” she concluded.